My expectations for Amsterdam were too high before I even visited it, as it seems to have everything I love in a city. Modern and at the same time cosy, lively but also calm, friendly and charming. Using exactly the same words I would describe the Dwars Hotel, which hosted us for the three days we stayed in the capital of the Netherlands. 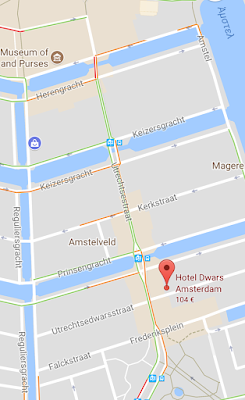 Dwars hotel is ideally located in the center of Amsterdam, on a very quiet street. 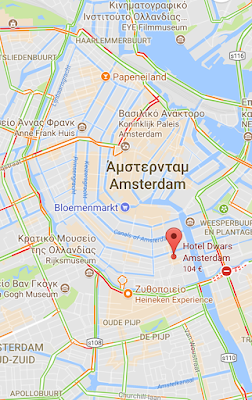 Right next to the lively Utrechtsestraat, there are many shops, restaurants and pubs, while the tram number 4, which can take you everywhere in Amsterdam, stops 1 minute away. Rembrandt Square and the Albert Cuyp Market are located less than 800 meters away from the hotel, while the impressive Rijksmuseum and the Van Gogh Museum are only 1 km away. From the moment we got off the tram, we were excited about the area where the hotel was located. 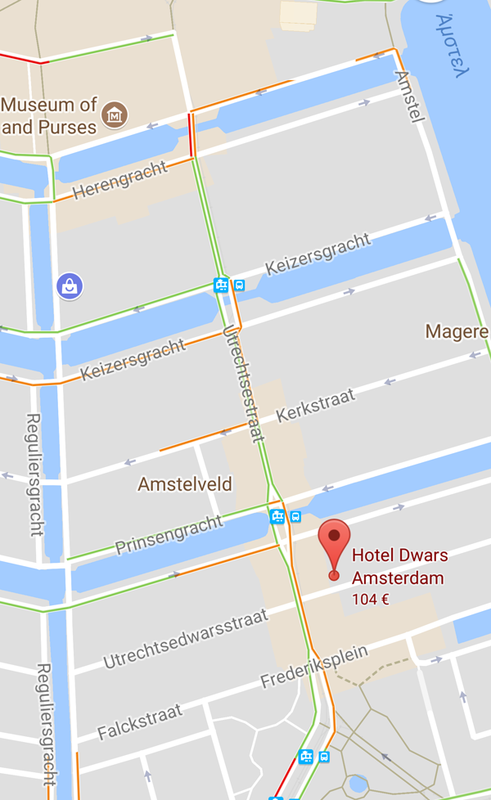 In a narrow, quiet alley, in the heart of the city, surrounded by beautiful canals, we found Hotel Dwars. The building where the hotel is housed was exactly what I expected. A typical Amsterdam building, with a red facade made of brick, narrow stairs (which are very common in the Netherlands), wood and brick elements inside the room, industrial and vintage decoration. If you are a fan of this architecture and decoration, as I am, you already understand why I loved this particular hotel. One more reason, of course, was the sparkling wine waiting to welcome us on arrival! Dwars is a small boutique hotel consisting of 9 rooms with a very beautiful decoration. We stayed in a three-bed room on the third floor, which was quite spacious and bright. The decoration of the room was modern yet cosy that it made you not only feel comfortable from the first moment but also gave you inspiration about how to decorate your own home. The combination of white and green colors with the woody elements in the room create a sense of calm and relaxation. All these, plus the super comfy beds helped us to relax after a busy day in the city! Although there is no 24-hour front desk, Dwars' girls have always been there to help us with everything we needed. They will also make sure to give you their phone number so you contact them at any time, while they are always willing to give you useful tips about the city. The hotel does not offer breakfast, but all rooms are equipped with Nespresso coffee machines and so we had our first coffee of the day in the room. 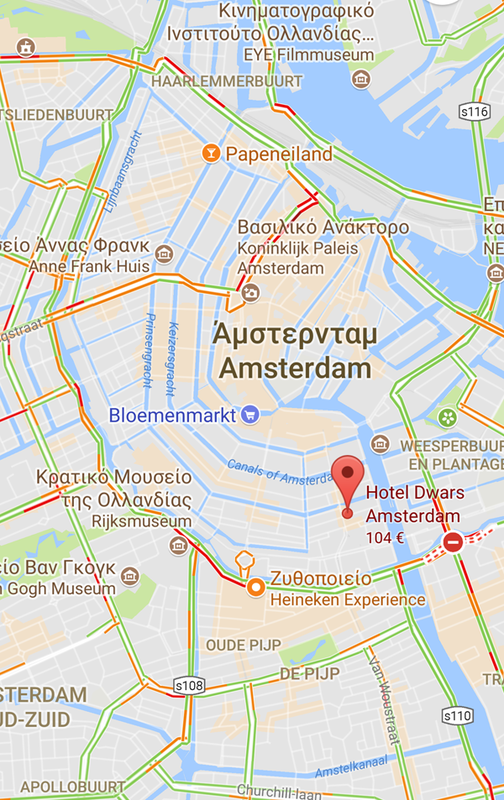 * If you are planning to visit Amsterdam, follow the Dwars Hotel Facebook page for useful information about what to do and where to eat in the city! 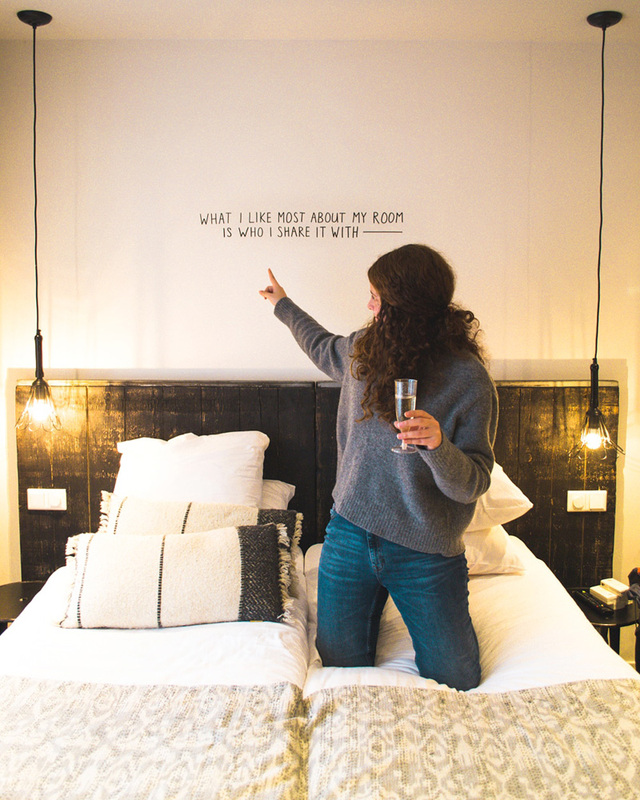 Disclaimer: We were guests of Hotel Dwars, but all the opinions listed in this article are mine!